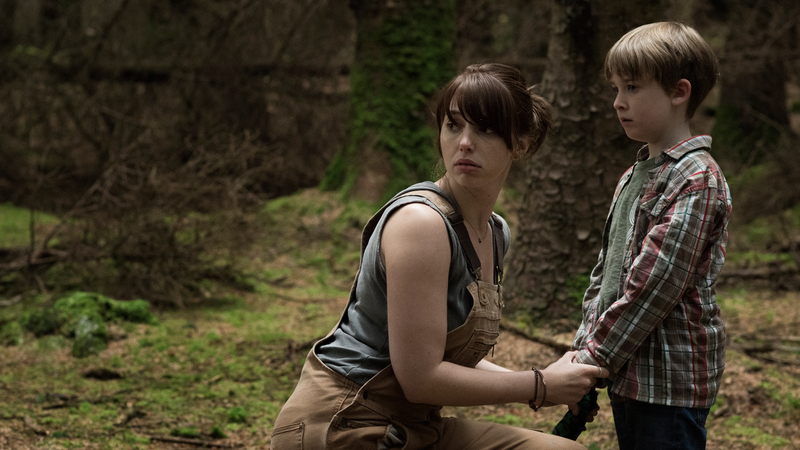 Fleeing from the city and an abusive husband, Sarah O’Neill (Seána Kerslake) and her young son, Chris (James Quinn Markey), make a new home for themselves in the remote Irish countryside. One day, the kid goes missing — Sarah finds him in the nearby woods, close to the titular hole in ground — a foreboding pit, pregnant with implied menace. Thereafter, Chris starts acting a bit hinky. And the terror unfolds from there. Directed by first-time feature filmmaker Lee Cronin, The Hole in the Ground can’t help but remind the viewer of Jennifer Kent’s 2014 instant horror classic, The Babadook. 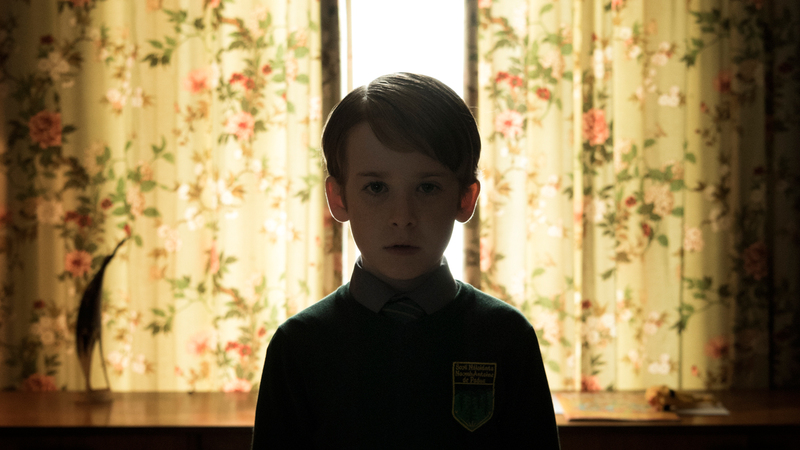 Once again, we have a harried, put-upon single mother, an evocative, somewhat oppressive neo-Gothic setting, and a young boy acting increasingly — and perhaps supernaturally — strangely. There’s something wrong with Chris. Yet The Hole in the Ground carries with it a distinctly Celtic sensibility, due not only to its setting and the presence of solidly dependably Scottish character actor James Cosmo — Highlander (1986), Trainspotting (1996), and all points in between — in a supporting role, but in the folkloric explanation of what’s going on, which hinges on Irish myths about the changelings, the otherworld, and the fair folk. Readers of Neil Gaiman, Terry Pratchett, and the darker sort of fantasy have always known that fairies are a bad bunch possessed of good press agents, but when a local crone (Kati Outinen) who accosts Sarah starts alluding to doppelgangers and people not being who they appear to be, it’s a rare intrusion of this specific type of dark lore into the cinematic realm. Unfortunately, The Hole in the Ground doesn’t do anything too original with the material — it’s merely window dressing on a pretty (peat?) bog-standard spooky kid movie. A very well-made spooky kid movie, mind you. Though he only has a handful of shorts and a couple of TV episodes under his belt, director Cronin shows considerable genre chops and awareness, slowly building a sense of the uncanny and inexplicable while acknowledging that, yes, this film is part of a tradition. Early slow aerial shots of Sarah’s car driving through forested hills recall Stanley Kubrick’s 1980 classic The Shining (as does some wallpaper later on); young James Quinn Markey, Mother’s Day (2018), is the latest model of unsettling moppet, à la Haley Joel Osment in The Sixth Sense (1999), Noah Wiseman in The Babadook, and, yes, Danny Lloyd in The Shining (Cronin may be a fan); and the final act is a descent into darkness that recalls everything from The Silence of the Labs (1991) to, well, The Descent (2005). In truth, it may all be a little too familiar for the seasoned horror hound, and your enjoyment of The Hole in the Ground may hinge on whether you prefer to see genre conventions reinforced or subverted (either is valid). Strong performances elevate the material — the interplay between leads Kerslake and Markey is wholly naturalistic and convincing, up until the narrative demands that it not be — but let’s hope Cronin’s next offering stretches the genre a little further.